Laboratory Analyzers Bulk Industry | Quality2Process B.V. The new NDC InfraLab e-Series NIR Measurement Systems offer an unrivalled performance with high accuracy, repeatability and stability for the At-Line measurement of moisture in a wide range of applications in the Bulk Industry. 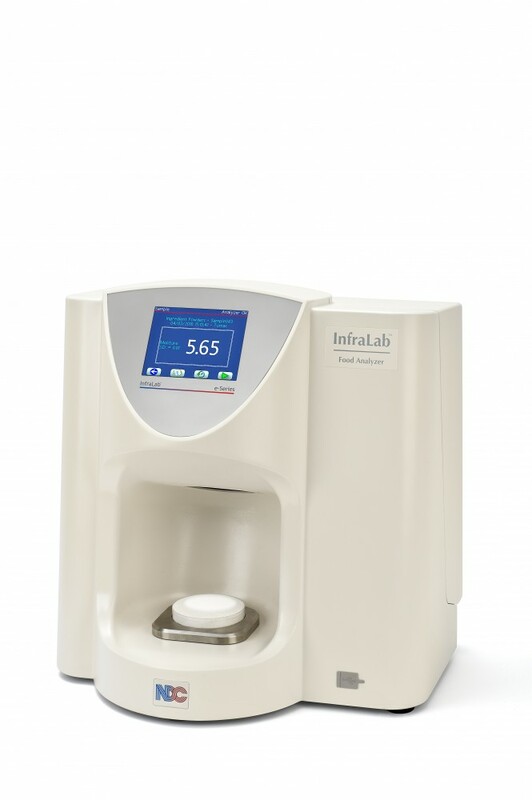 The At-Line or laboratory InfraLab e-Series Single component NIR Measurement System for continuous measurement of moisture . Minerals: Copper, lead and nickel ores, sinter mix, phosphates, bauxite, chalk, fluorspar, bentonite, kaolin, limestone, dolomite. Ceramic powders for tiles, sand, concrete mixes, cement, quartz sand. Wood products: Wood chips and pulp, OSB, MDF, particle board, timber. Chemicals: Resins, detergents, rubber crumb, cellulose, polymer chips and powders, chemical powders, neoprene rope, PVC powder.